Seventy-five percent of the sodium in the standard American diet comes from processed and restaurant foods (1). So eat whole, fresh foods and you most likely won’t have to cheat yourself on table and recipe salt or puzzle over sodium milligrams on labels and menus. The real issue is sodium-to-potassium ratio. The modern diet contains too much sodium and not enough potassium. Current intake of these two vital electrolytes, which work together to maintain cardiovascular and cellular health, is a complete reversal of the optimal ratio humans once consumed (2). Studies show that increasing potassium intake improves heart health, even if you fail to lower sodium: the ratio of the two matters more than the amount of either one (3). Veggies, fruits and legumes abound in potassium, so once again the solution is joyful consumption of tasty, whole, fresh foods. Spinach, chard, mushrooms, tomatoes, brussels sprouts, beans & lentils, and root veggies (with the skin on) are all great sources of potassium. Go ahead – salt them! Preferably with sea salt, which boosts both taste and nutrition. (And drizzle or toss with olive oil or butter – fat is key not only to pleasure but to absorbing fat-soluble vitamins.) Papayas, avocados, bananas, melons and oranges are great fruit sources of potassium. Supplementing with potassium or salt substitutes using potassium chloride risks creating the opposite imbalance – which can be quite dangerous – so do stick with food. However, there are some great food-based salt/low-salt substitutes, such as gomasio, which use ingredients like ground sesame seeds, spices & herbs, and sea veggies. Sea veggies provide iodine. Not everyone is salt-sensitive. While there are good reasons to keep your sodium-potassium ratio properly balanced regardless of blood pressure, not everyone’s blood pressure responds to changes in sodium intake. Researchers estimate that about 26 percent of people with normal blood pressure and 58 percent of those with high blood pressure are salt sensitive (4). 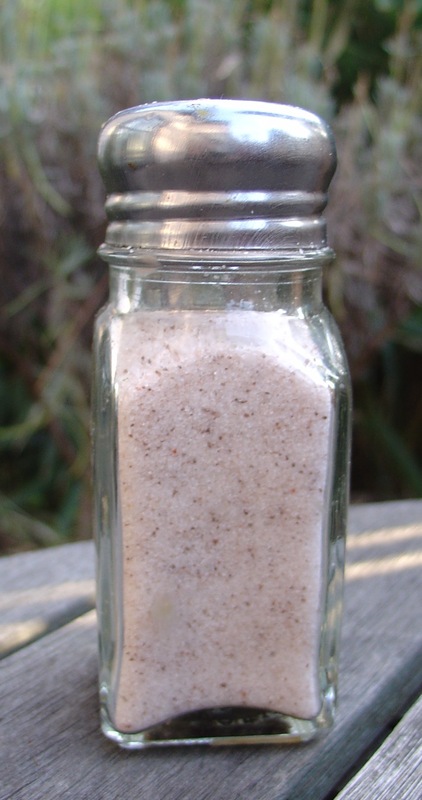 Unrefined sea salt beats commercial salt. Sea salt has a stronger (& more interesting) flavor, so you don’t have to use as much. It contains trace minerals that boost and balance your body’s mineral status. And it doesn’t have additives like dextrose and silicates. We’re talking unrefined here. If it’s white, it’s refined, so don’t be fooled. Dextrose is added to commercial salt to stabilize the added iodine. Calcium or aluminum silicate and equivalent additives prevent caking. Salt companies argue these are added in insignificant quantities. But we are just beginning to understand the impact of continuous low-level exposure to the hundreds of irritants and allergens that hit our guts every day in processed food. They also argue that you need the added iodine. I say touché there (though if you’re eating a balanced, varied diet you may well not need it), but consider getting your iodine from ocean fish, seafood, certain veggies and dairy products, and sea veggies (sea veggies are in food-based salt substitutes or get them from, say, sprinkling dulse flakes on your salads and soups). As for the caking, I don’t mind shaking or tapping out the lumps in my salt shaker, but adding a few uncooked rice grains to your shaker will help keep it flowing if that’s a concern for you. Yes, unrefined sea salt is more expensive than commercial salt. The best sea-salt bargain is Redmond’s Real Salt, particularly when it’s sold in bulk, as it is at many natural food stores. It’s a fraction of the cost of most gourmet sea salts, cheap enough for everyday use. But do experiment with varieties like Celtic, Himalayan, Black, and Hawaiian if you can. Sure, transitioning to a whole-foods diet takes effort. But given the number of problems it addresses in one fell swoop – heart health, obesity, healthy aging, looks, energy, mood & cognition, prevention & management of chronic disease and pain, you name it – even people who are too lazy to shake the lumps out of their salt should seriously consider it.